These fun and easy Father’s Day crafts are perfect for the whole family -- from new baby to teen! Enjoy spending time with your kids, celebrating dad and surprising him with these super simple homemade crafts and gifts. This is a great Father's Day craft for you to do with your young children or for Dad from your new baby. For toddlers, have your child draw on the handprints to add a fun touch. With a pencil, trace both your child's hands. Carefully cut around the pencil markings. Cut a 1-inch by 8-inch piece of paper, fold it accordion-style and write: "so big!" on one side. With marker write: "Dad, I love you... " on one hand and your child's name on the other. Tape the strip of paper to each hand so it opens to reveal the message. 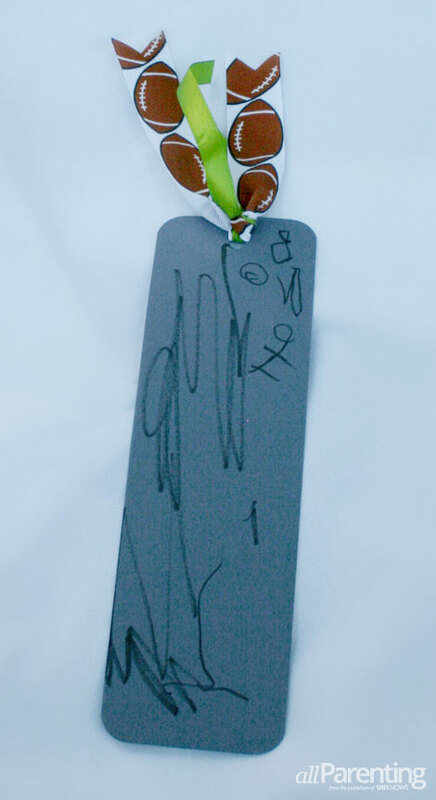 Your child can share his love of reading with dad by making a personalized bookmark for Father's Day. 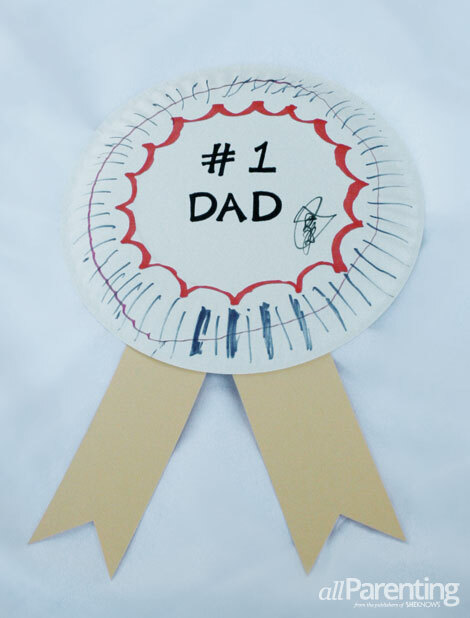 Cut a 3-inch by 6-inch piece of cardstock paper (rounding the edges is optional), decorate one side and write: "Happy Father's Day" on the other side. Punch a hole with the hole punch at the top center, 3/4-inch down. Cut a 6-inch piece of ribbon, thread through the hole and gently tie a knot. These handmade memory books make a great Father's Day gift each year. When you make one of these with your kids, you can look back and see how your children have grown and changed over the years. Cut the sides off of the gift box lid, fold in half and punch four holes down the folded side. Cut six pieces of cardstock to fit inside the folded gift box lid, mark the holes on the cardstock and punch with the hole punch. 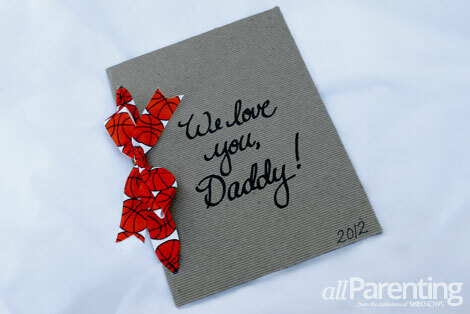 Write dad a special message, letter or decorate each page. Place the cardstock pages inside the folded gift box lid, line up the holes and thread the ribbon through -- tie a bow in the center. Write a message on the front of the book. Tip^Add a photo of your family to the front for a more personalized touch. This craft and gift for Dad is perfect for preschoolers and elementary-aged children. They will love creating an award for their favorite guy... Dad! Decorate the wrong side of the paper plate. Cut two, 3-inch by 6-inch pieces from the cardstock and then cut a triangle from the end of each piece. Tape the cardstock pieces to the right side of the paper plate.